During a Sunday house clean-up my parents found my copy of Classical Art: From Greece to Rome by Mary Beard and John Henderson (2001), a lovely introductory book on art (including architecture, portraiture, and sculpture) from the classical ages of ancient Greece and Rome, sitting somewhat unloved on a bookshelf. The book contextualises the main masterpieces of the periods, their form, origin and meaning, and explores their influence on the history of art within Western culture, and the origins of art history more generally. Further to this the publication manages to present an impressive array of information from the archaeological, historical and geographical contexts of the art works, and provides a thorough grounding on the various examinations and interpretations of the motives and representations of why and how the art was produced. It is, if I may borrow one more review trope, also a thought-provoking piece, not content to provide an overview of the art context and the constant cannibalization and exploration of those forms that went before (Roman of Greek art, Renaissance of Classical, etc. ), but one that questions the reader’s understanding of what they think they knew of Western culture and the differences in social structure and expression. 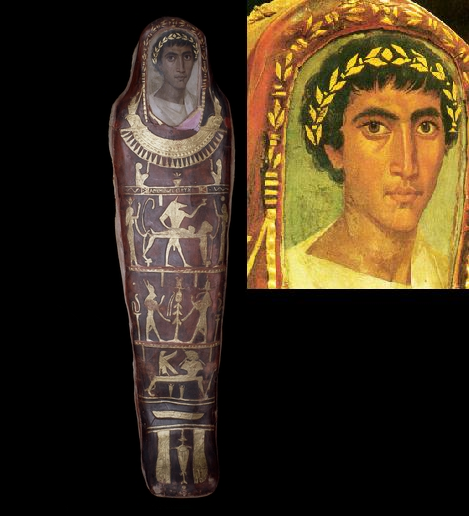 The well decorated mummy case and detail of the portrait of Artemidorus, from Roman-period Haware, Egypt, AD 100-120. Artemidorus was a male individual who was aged between 18-21 years old at the time of death, based on CT scans of his skeletal remains in the coffin. His impressive funerary artefacts and context helps to highlight the mix of cultural styles present during this period and location – the coffin details traditional Egyptian funerary motifs and symbols, the individual has a Greek name, and the portrait is Roman-style in style. As Beard & Henderson (2001: 232) highlight, the rituals of death and burial have preserved a wonderful collection of personal portraits in funerary contexts (on coffins, etc.) from Fayum and other areas of the Roman province of Egypt, where this style of commemoration was practiced. However, it is debated whether these portraits, as a whole, capture the person at the age at death or, as in some cases, represent the individual at a different point in their life. The face, and the head, are strong focuses of artwork, both sculpture and portraiture, in the ancient Roman world. The Roman period Egyptian tradition of painting portraits on linen and wood echoes vibrantly across the centuries due to the vitality and likeness of the person’s image. As Beard & Henderson comment, ‘the challenge to figurative art is to metaphorize human beings convincingly’ by using whichever medium (marble, wood, or pigment on wood and linen, etc. ), and that ‘the ideology of the portrait depends on this ability to carry (the) conviction’ of its representation (2001: 233). Image credit: the British Museum (main) and Invision Free (inset). I got a copy of the book for a module I studied in my first year at undergraduate level, one entitled cities and civilizations if I remember correctly, that studied the origin and influence of art at certain periods in European history (the Geek and Roman classical worlds, Gothic architecture in Western Europe in the Medieval period, the art of the Italian Renaissance, etc.). It was an enlightening module, one that made me think deeper on the artistic expression of society within a cultural milieu. Towards the end of the publication there is a fascinating discussion on the use of the portrait in forming an image of an individual, in this case the ancient Greek philosopher Socrates as described in a series of pen portraits and dialogues by his pupil Plato. Socrates, who died (in the words of Plato) a ‘martyr for the truth’ in Athens in 399 BCE, has become of the most sought after face of Antiquity when, after comparing the many statues of him that survive (which include the ‘type A’ and ‘type B’ heads from Italy and the damaged statues from Athens), that at least one of these portraits ‘taps into first hand acquaintance with the fifth-century guru’ (Beard & Henderson 201: 236). Socrates pupil Plato posits, in a pen portrait that emphasizes each aspect of his master throughout his dialogues that, ‘feature by feature’, sets him apart from humanity and creates the paradox of Socrates, the ‘wisest of men’, compared with the bestial nature of his physical representation. The last point concerns the nature of reality and its images; that Plato encourages us to ‘imagine what Socrates was like, but at the same time radically undermines the status of anything in our visual world‘ (Beard & Henderson 2001: 237, emphasis mine). The authors indicate that this is the paradox on coming face to face with one of the most ‘individual physiognomies of them all, yet also being confronted with a portrait that was designed to remind us just how contested the relationship is between how people look (or are made to look) and how they ‘really’ are’ (Beard & Henderson 2001: 237). Necessarily this raises the question of what is captured by art, how and why? What are these representations of and in what context are they represented? These are basic questions that a researcher must always bear in mind when dealing with both the artistic artefacts and documents of the past. For the archaeological researcher they too are fine guiding questions to consider when analyzing the physical material remains of the historic and prehistoric past. How are they represented and why? By happenstance I have come across a lovely cheap paperback book of Socrates’ Defence by Plato in the Penguin Little Black Classics series earlier today, in which Plato recreates the dialogue of Socrates defending himself at trial in 399 BC. Socrates’ Defence is taken from Plato’s The Last Days of Socrates. The Little Black Classics series covers many renowned writers, bringing their fiction or non-fiction work, or extracts of their work, together in small volumes at affordable prices (in the UK they retail at only 80p or $2 CAN. I shall update this entry as soon as I’ve read it and had time to digest it. Perhaps unwitting the above fits quite nicely into my current long read (books that I am taking my time with), which include Albert Camus’s The Rebel and The Myth of Sisyphus. Beard, M. & Henderson, J. 2001. Classical Art: From Greece to Rome. Oxford: Oxford University Press. Plato. 2015. Socrates’ Defence. St Ives: Penguin Classics. Paul Koudounaris is an art historian based in California, USA, who specializes in the documenting and photographing the use of human remains in sacred contexts, especially in ossuary and charnel houses. Perhaps best known for his two books, Empire of Death (2011) and Heavenly Bodies (2013), Paul gained his PhD in art history from the University of California Los Angeles in 2004. Paul’s personal website can be found at Empire de la Mort, which contains a whole host of information on upcoming talks, books and an extensive selection of his stunning photography. These Bones of Mine: Hi Paul, thank you for joining me at These Bones of Mine! I recently had the great pleasure of watching you speak at the University of Sheffield on the topic of your latest project ‘Heavenly Bodies’, the so-called saints from the catacombs, but for those that don’t know of your research interests how would you best describe your previous and ongoing work? Paul Koudounaris: I basically study the use of human remains in sacred contexts. Heavenly Bodies was my second book with Thames and Hudson, and it was a study of the skeletons of supposed martyrs taken from the Roman Catacombs starting in the late sixteenth century, and magnificently decorated with jewels. The book that preceded it was the Empire of Death, which was a study of ossuaries. By training I’m an Art Historian, not an archaeologist or anthropologist, and it’s important to note that because my primary interest has always been in documenting how what I am studying fits into the visual culture of its period. I’m not trying to come up with a provenance for these bones, that’s outside of my skill set and usually not terribly relevant to what I want to probe, which is what people saw in them at the time, how and why they decorated them, or decorated with them, and what that meant. A beautiful photograph of the stacked crania and long bones from the medieval Rothwell crypt at Holy Trinity Church in Northampton, England. Rothwell is only one of a few surviving English charnel houses and is currently being assessed by a team from the University of Sheffield for best conservation methods and examination of the skeletal remains. (Image credit: Paul Koudounaris). If by training I’m an Art Historian, I have to also fess up that by nature I am something else–by nature I’m kind of a dilettante. I came into Art History through the visual arts, before I went and got the PhD I used to do assemblage sculpture and installation work, and while the rigor of studying the material for the two books was important to giving the subject matter meaning, it also left me kind of cold. It’s for that reason that the next book will turn out to be radically different. Both of the previous books are very photo heavy–they need to be, the images themselves are an important part of the story–and I do all my own photos. There was an interesting personal transition for me in completing those books: when I started, I thought of myself as an Art Historian who did photography, now I think of myself more as a photographer who does Art History. For that reason, I wanted to do a book that would allow the images to break free of the need to conform to the text. The text was crucial to the two books, but it was also tyrannical when it came to the images, the text dictated how the images needed to be used, where they could appear and in what context. But the next book, which will be much more global (including copious material related to the veneration of human remains I have shot in Asia, South America, Africa), will be formatted in a very different way. The images themselves will construct the story–they will be arranged based upon their aesthetic qualities, and the text will be made to conform to them. This will allow different, maybe more romantic and imaginative connections. There is no reason why, say, a decorated skull from Nepal cannot sit alongside a painted skull from Austria, other than the fact that the previous texts wouldn’t allow that. But this time the images will be laid in first, and I have instructed the designer to simply leave me blank text boxes within the layout, and it will be my job to go back in and construct texts that will link these images together. In essence, we’re working in a way that’s exactly opposite of how we had worked before. TBOM: I think anyone who has read any of your books, or has come across your photography work before, will recognise the fact that you have a real passion and skill for capturing the innate character of your subject. Do you ever feel a personal connection to what, or who, you are photographing, or is the act of photographing itself a sort of personal veneration of the object or individual? Paul: That’s a great and complex question. I find the term “innate character” a bit tricky, but what I try to capture is whatever I feel is most expressive about a site or skeleton, based on my own innate, intuitive reaction. With the charnel houses, I figured out very quickly how to take great looking pictures of them–if you have the right equipment, it’s not that hard, there are just a handful of technical things that are important. But shooting that way, just to make things look good, gets rhetorical. When I was shooting Empire of Death, it was important to me not just to shoot to make things look good, but to walk into a place and try to assess my own reaction to it–or rather, what my reaction would have been had I not already visited scores and scores of other charnel houses. That’s not easy to do, to try to erase your own callousness towards the subject matter and look at things with fresh eyes. But that was the goal, to try to retain some freshness of vision to shoot each site so that it expressed whatever impact it might have had on me, had I walked in totally naive. A photograph from the 2013 Heavenly Bodies book, reported to be the Saint Munditia, the patron saint of Spinsters, in Germany (termed the Katakombenheilige). Notice the fine silk screen, exquisite metal work and re-made eyes. (Image credit: Paul Koudounaris). When I was shooting Heavenly Bodies, each time I would come to a new skeleton, I would try to come up with a single word that best distilled what I felt it expressed. So some conjured for me the idea of pride, others loneliness or abandonment, others humility. Of course, the skeletons express none of these things, these are my own reactions to them, but it was important to me to get a simple and clear sense of what I was receiving from them, and then try to capture that single expression. It was a terribly hard task–if shooting charnel houses is, as I said, relatively easy if you have the right equipment, shooting those skeletons was torturous at almost every turn. They are awkward items, the angles are invariably difficult, the lighting is horrendous, and worst of all the vast majority are encased in glass shrines that cannot be opened without breaking them–so not only are you dealing with issues of reflection and glare on the glass, the glass itself could be upwards of 400 years old, so not only dirty, but filled with defects and divets I would have to somehow avoid. You’re not asking about the photography on a technical level so I won’t go into detail on what I had to do, but as I said, it was very, very difficult to even get a shot in many cases, and even more so to try to get any kind of expressive effect. To me, though, that is where artistry lies–not just reproducing the object, but responding to it. That approach has puzzled a lot of people, frankly. People at the sites were expecting someone who was simply interested in studying them as historical objects, and in such a mindset, pretty much any picture will do, and the optimal quality to be striven for is clarity. But I was doing something else, trying to find some expressive quality–as I said, it was often puzzling to people. Many thought I was just nuts, because I might be walking around a site or staring at a skeleton for long periods of time not doing anything, just staring, or spending long amounts of time making tiny adjustments with the camera or lenses or filters. Is it a form of veneration? I don’t know. Maybe. I think it’s a form of respect. I think it’s also a form of bonding. I don’t know about veneration. The thing to remember, though, is that all those pictures are my own reactions to the objects or sites, so there is a level on which they also serve in an inverse way as portraits of myself. Anyway, long answer, but as I said, it’s a complex question. TBOM: I very much like the idea that it is a form of bonding with the subject, especially in the case of the saints in Heavenly Bodies. It has been noted that you are also keen to study the burial places of animals, especially pet cemeteries. Are you fascinated by the human-animal relationship through time and do you regard the burial places as outpourings of human grief for animals or as examples of demonstrative wealth? Paul: That’s another complex question, more complex than I would have thought before I had started looking into pet cemeteries–and yes, I have become rather fixated on them lately. You mention the “human-animal relationship through time,” but we need to be aware of how that relationship has evolved, and how it varies historically and cross-culturally. It’s a very hard evolution to trace, since it is not something that was typically documented in texts. In short, what we call “pets” were basically an invention of the nineteenth century, particularly in France and the UK. OK, sure, people had always had domestic animals, apparently dating back to prehistoric times–I say this because graves have been found containing people and animals buried together, so presumably in such cases there was some domestic relationship between them. But what we call a pet–the way we conceive it, the way we treat it, the way we feed and groom it–is as I said something that really starts in the nineteenth century. I wouldn’t even use the term “pet” for animals before then, because to me that term has a cultural specificity. Well, it’s a long story, obviously. But when it comes to pet cemeteries, not surprisingly they also start in the nineteenth century, and not surprisingly then they also start in the UK and France. They start with the modern conception of pets. Animals were buried before then in their own graveyards, this dates back again to ancient times–but a place like Bubastis, where cats were mummified in Egypt, was not a “pet” cemetery, because of course these were sacred animals. Anyway, regarding the burial places, they likewise have a different meaning depending on the culture and era and the way the animals were conceived, but one interesting thing I have noticed about the modern pet cemeteries is that they really aren’t examples of demonstrative wealth, which seems counter intuitive. To some extent they are I suppose, because the very poor are excluded due to cost, and the very wealthy have greater means to memorialize their animals, but by and large wealth has nothing to do with it–it’s more a question of the attachment to the animal, and whatever ritual its owner feels is necessary to gain closure. 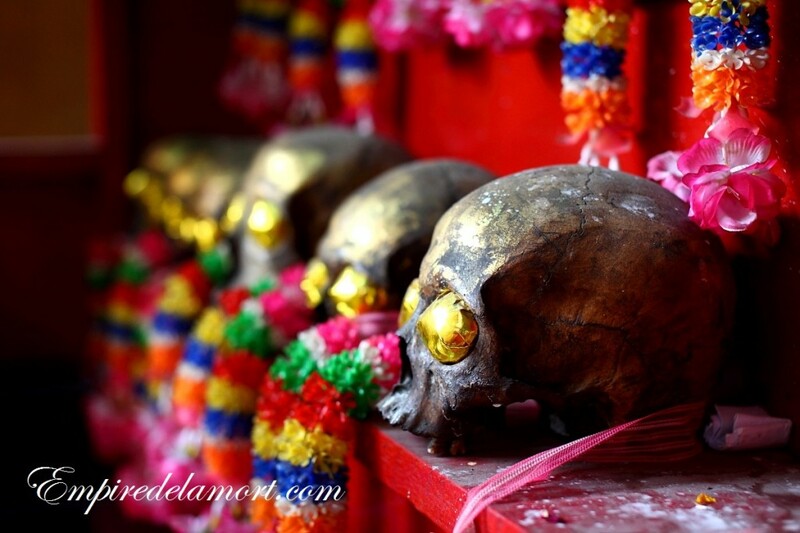 Unknown individuals at a Ruamkatanyu skull shrine in Bangok, Thailand. As part of a charitable foundation that provide coffins to low-income families, the skulls are the patrons of dead paupers and unidentified individuals that symbolises the value of the work that the foundation carries out. (Image credit: Paul Koudounaris). I have been talking to a lot of people who work at and have animals at pet cemeteries, and even gone to some vigils at one here in LA (they have a monthly candlelight vigil). I have yet to come across anyone I would consider in the top-tier economically, but have found many people whom I would consider no better than middle class. They have no interest in demonstrating wealth or status. Like I said, the decision to memorialize in a cemetery is due almost exclusively to attachment to the animal and the need for closure. It’s love in very pure form. Sometimes in a frightening form because it can be obsessive, but it’s based in love, and, with the filters we use for grieving humans removed, the emotion is often raw and poignant to the point of pain. TBOM: Could you tell me more about the monthly candle lit vigils for animals in LA? Also have you noticed any obvious differences between modern countries for pet cemeteries? Paul: Sure. They hold these candlelight vigils at night, once a month. Anyone is invited to come, it is a chance to speak about their departed animal–to help the person who lost the pet find some measure of solace and resolution in the company of others who are struggling with the same grief. After a person speaks their candle is then placed in a box with those of the others who have previously spoken, it’s obviously a symbol of solidarity. Pet cemeteries are odd places, because as I have said the normal conventions and formalities we have with other people are removed when it comes to animals–think about it, no matter how giddy I might be feeling, I simply can’t walk up to another person on the street and pat them on the head, pinch their cheeks, and start saying, “oh you look so cute”–but I can do that to a dog, so you can encounter pretty much anything when it comes to people grieving an animal. When it comes to these vigils, mostly it’s pretty straight forward and dull, but sometimes it can get very odd–the last one I went to, there was an elderly woman in a wheelchair singing “My Darling Clementine” to her dead dog in an operatic voice, it was like something from a David Lynch movie. As for differences between cultures when it comes to the pet cemeteries, they’re really a very American thing–the vast majority of pet cemeteries are in the USA. I mentioned that they started in the UK and France, but the place they caught on is here in the USA. I am still not entirely sure of what that says about us as a culture, but my intuition is that there are two ways it could be interpreted. One is that we are simply more devoted to our pets, and thus willing to publicly memorialize them. I would have to somehow to find statistics on per capita expenditures on animal toys, accessories, and other related items to confirm if that might be true. The other way to interpret it is simply that, hey, it’s the USA, and we can create a commodity out of absolutely anything, we can even find a way commodify your dead dog. I have a hunch the answer will turn out to be the latter, sadly. TBOM: As a part of the ‘Encountering Corpses’ art exhibition at the Manchester Metropolitan University in March, you are displaying some of your original photography from the Heavenly Bodies and Empire of Death books and presenting a talk about your work. What for you is the driving force to document these bodies and the pet cemeteries? Paul: Hmmmm. Well. What is the driving force that compels me to do this kind of stuff . . . to answer that properly would require deep introspection. On a more superficial level, I tend to be interested in things that have a profound, emotional meaning, but have fallen through the cracks of history. Of course, I have chosen *these* topics in particular, which I suspect appeal to me because in addition to their historical and emotional value, they also often have a surreal weirdness associated with them. A still from the Fiesta de las Natitas in La Paz, Bolivia. 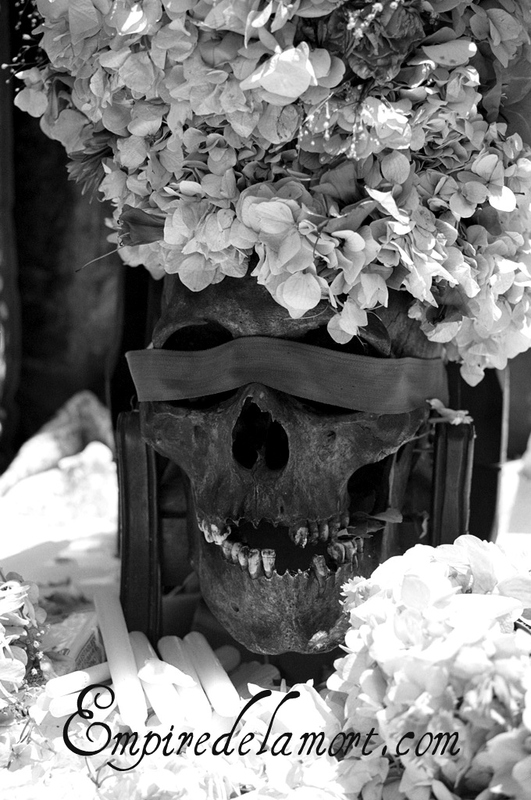 The festival, held every November, is little known outside of Bolivia where the living commemorate the dead and especially venerate the skulls of the ancestors. Paul has written an informative article for the Fortean Times here on the festival and it is well worth a read. (Image credit: Paul Koudounaris). To pry a little deeper, they all obviously involve death and remembrance, which is a topic I was obsessed with ever since I was a child. I used to try to talk to my mother about exactly what I wanted written on my tombstone (yes, she thought I was odd, and no, she did not particularly want to talk about that topic as it seemed to unnerve her). But it’s hard for me to come up with an answer beyond that. Obviously, we are talking about topics that are part of the great mystery that binds us all as living creatures–but there was no specific incident I can recall that would have made me any more macabre than anyone else. TBOM: Thank you Paul for that response, I think a lot of archaeologists and human osteologists will agree that in a large part, the study of history, our interactions and thoughts about death and remembrance, all drive our passion for pursuing our chosen fields. A final thank you for joining These Bones of Mine and for enlightening us to the worlds of Saints, pet cemeteries and your inner thoughts! I look forward to the culmination of your next project. Paul will be appearing for a talk and exhibiting a number of his photographs at the Manchester Metropolitan University Encountering Corpses exhibition on the 28th of March 2014 (exhibition on from 28/02/14 to the 10/04/13). 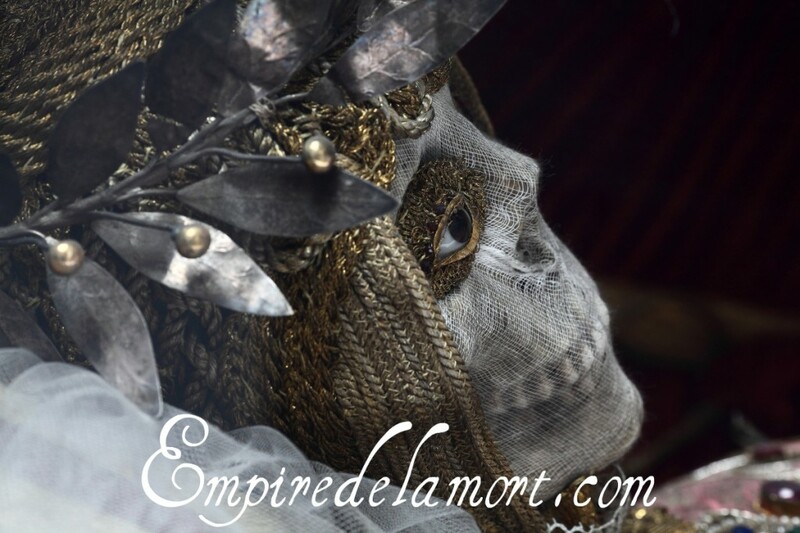 Paul’s personal site can be found at Empire de la Mort. Read Deathsplanation‘s fantastic interview with Paul here. Koudounaris, P. 2010. Skulls Cops and the Cult of the Natitas. Fortean Times. Accessed 05/2/14. Koudounaris, P. 2011. 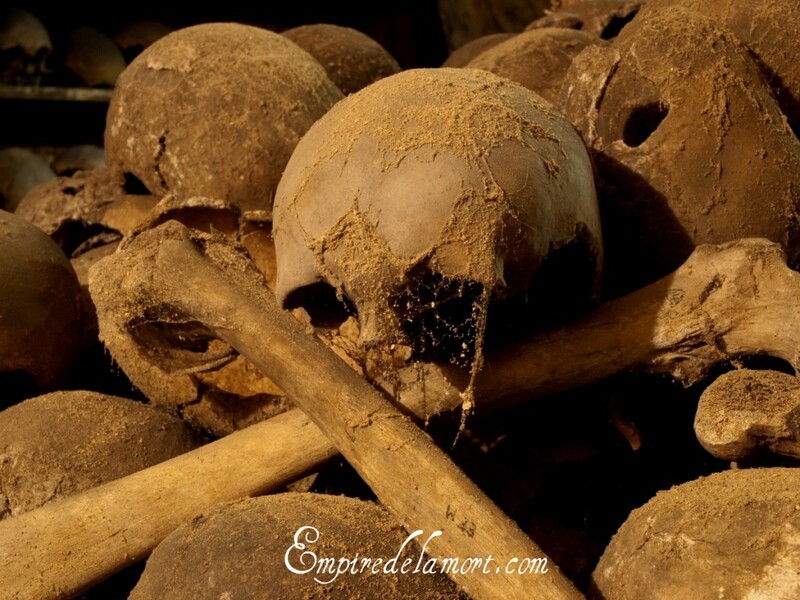 The Empire of Death: A Cultural History of Ossuaries and Charnel Houses. London: Thames and Hudson. Koudounaris, P. 2013. Heavenly Bodies: Cult Treasures & Spectacular Saints from the Catacombs. London: Thames and Hudson.